Back in training at Tola Vologe! 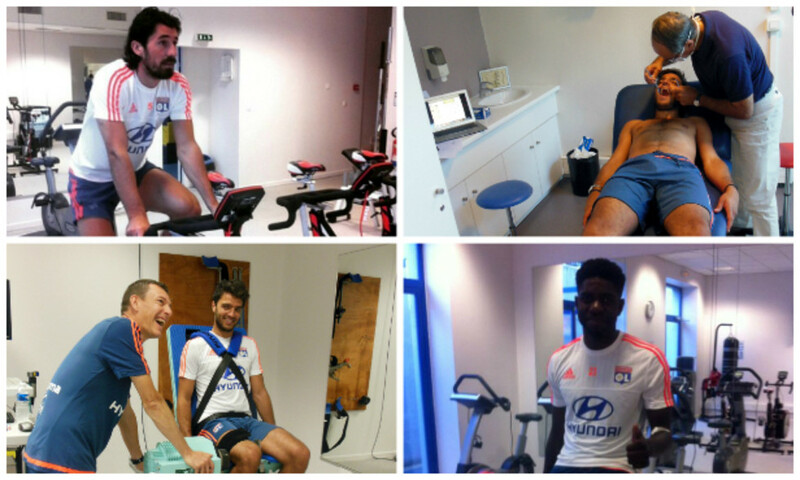 No less than 7 finalists from the Coupe Gambardella last May were invited to train with the first team. After a long season, the club's internationals will enjoy a few more days holiday and will join up with the rest of the squad in Crans-Montana in Switzerland on Wednesday 8 July. For the rest of the squad, they'll be back in training tomorrow! Today was also a chance to catch up with Milan Bisevac, who is continuing to work his way back from a knee reconstruction. The 21 Players: Bisevac, D’Arpino, Ferri, Fofana, Ghezzal, Gorgelin, Grenier, Jenssen, A.Kalulu, Labidi, Lebongo, Malbranque, Mboumbouni, Mocio, Morel, Moufi, Mvuemba, Pagliuca, Paye, Rose, Umtiti.